Welcome to our journey into the guts of The Walking Dead. What kind of journey? A philosophical, psychoanalytical and political kind. What I would like to do over the next couple months is dig thought the Walking Dead episode by episode to see what it can teach us. Thank you for following me on this journey. I look forward to reading your comments. Be forewarned: There are spoilers everywhere. Shane's answer is essentially that he feels that women are stupid, and they don't listen to men. Shane tells a story about his significant other's difficultly with remembering to turn off the lights. He expresses his frustration in harsh words, yet tells Rick that he confronts his lady he approaches the conversation more politely. In opposition, Rick's theory of femininity is rooted in Lori's ability to directly confront Rick about her feelings. The example Rick gives is Lori is expressing her concern that she doesn't feel like Rick cares about her or her child. Rick argues that the difference between men and women is that he would not say such a damaging thing in front of his child. He has respect for appearances while she does not. What both men agree on is that men do not speak their mind to women. The difference between Rick and Shane's version of masculinity is subtle. 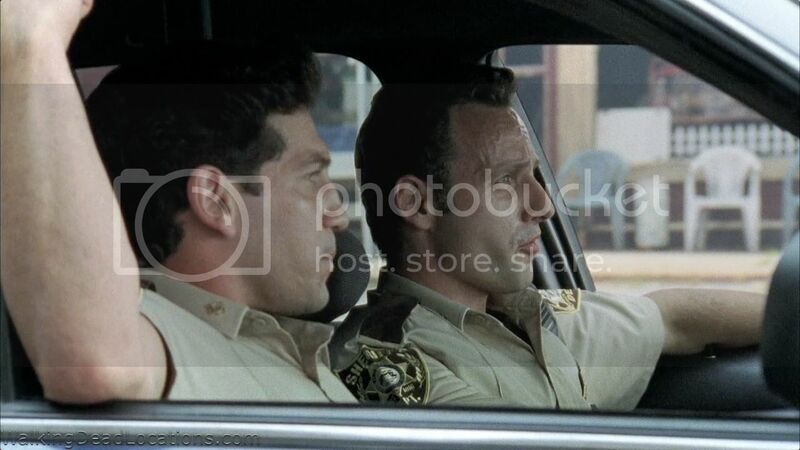 In Shane's story about his significant other his anger and passion is turned towards anger, and as he tells Rick about how angry he his anger heightens. Shane's masculinity in suppressing his emotions to his woman. While, Rick on the other hand, suppresses his emotions, not to Lori but to himself. The irony, here, is highlighted after Shane describes that he suppresses his emotions, he asks Rick if he “expresses his emotions or shares his thoughts” with Lori. Being true to his gut is the most terrifying thing for Rick. While Shane only shares his thoughts, but not his emotions. Maybe if she truly knew how he felt about it, she would turn off the lights. Woman can be great at sniffing out in-authenticity and find crafty ways to pulling out something real from men. There is a wonderful poem that I think will help us understand Rick and Shane's discussion about the difference between men and women. What Rick and Shane fail to realize is their inadequacies regarding assessing the difference between men and woman. Understanding difference is beyond a framework that assumes men and women share a common plane of meaning. What this reminds of is the weirdly sentimental scene between Rick and the half-a-lady zombie in the field. On the first encounter, a tired, dehydrated and disoriented Rick finds half-a-lady by a bicycle. As he mounts the bicycle the half-a-lady makes zombie noises and reaches feebly towards Rick. He falls down and rises with a look of disgust at the half-a-lady. When he rides the bicycle away, the half-a-lady reaches out and groans at him, Rick turns and looks back quickly as he rides the bicycle down the street. There is a parallel here between Rick's story about his wife’s demands for emotional insight and half-a-lady's desire for Rick's brains. In both situations Rick views the demands as absurd and a threat to his self of self. Later in the episode Rick returns to the half-a-lady to apologize. It is as if Rick is reenacting the story with Lori, coming back to the moment that plagues his thoughts. The moment where she questions his manliness and capacity to be a father. Rick desire to articulate how such questions, hurts his pride. The third perspective on the difference between men and woman comes from Morgan. Morgan perspective splits the difference between Rick and Shane's theories. Morgan is a loving husband and father who does not have anything to complain about his relationship with his wife other than longing for her beating heart. Near the end of Days Gone By in the middle of Rick's encounter with half-a-lady, the show cuts to Morgan looking down the scope of a sniper rifle at the zombie head of his wife. He isn't able to shoot his wife, while Rick is able to shoot the half-a-lady. What do you think this means?